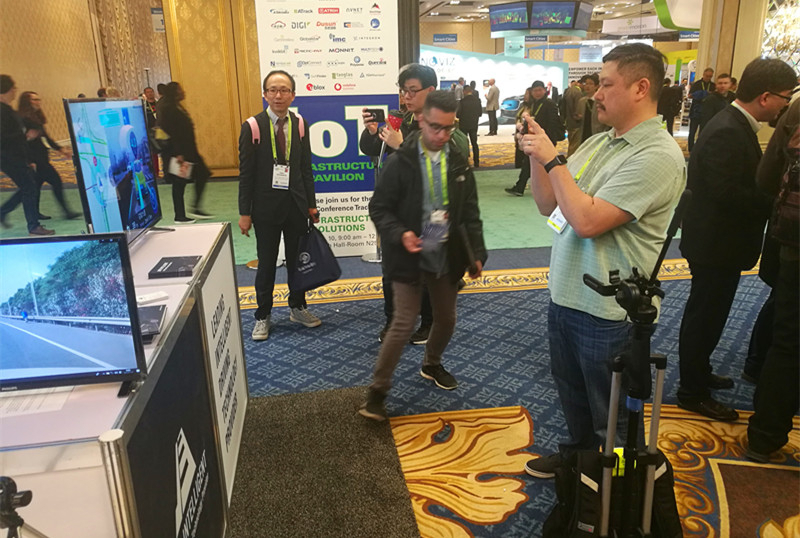 During 2019 CES, intelligent driving solution provider JIMU Intelligent released its new generation ADAS technologies and solutions. Deep learning is a necessity for the realization of more accurate environment perception. 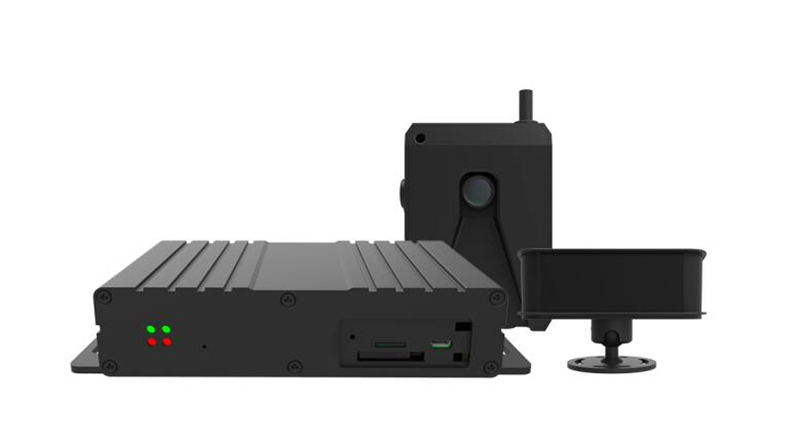 Since its foundation, JIMU has always been dedicated to the development and research of computer vision technologies, and has won the recognition of many top OEM manufacturers. 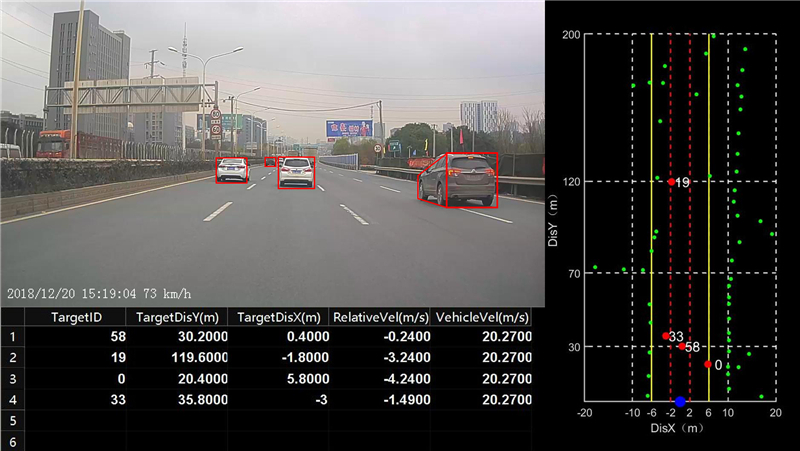 During 2019 CES, JIMU displays its latest deep learning algorithm that support accurate detection of vehicles, lanes, pedestrians, traffic signs, free space, etc. To realize the balance between computing performance and accuracy, JIMU Intelligent combines deep learning with traditional algorithm to forge a highly efficient deep learning model. The self-developed JMNet model delivers better performance than MobileNet V1/V2 of the same level computation when running open source data. Beside, JIMU takes the model quantization requirement into consideration during its early model design, so the quantized model could run on FPGA or embedded platform with ultra-high efficiency. To make the model well-adaptive to complex circumstances, JIMU developed a highly efficient data capture and process system to accumulate data for the training and upgrade of deep learning algorithm. The system is capable of accumulation of over 50000 images per day, and this data will increase with rise of user amount. When it comes to the realization of AEB or LKA, JIMU Intelligent chooses to fuse vision and radar sensor to forge a more robust perception system. When compared with vision or radar system, vision-radar fusion system delivers better performance in system function reliability, robustness, data reliability, resolution, etc. 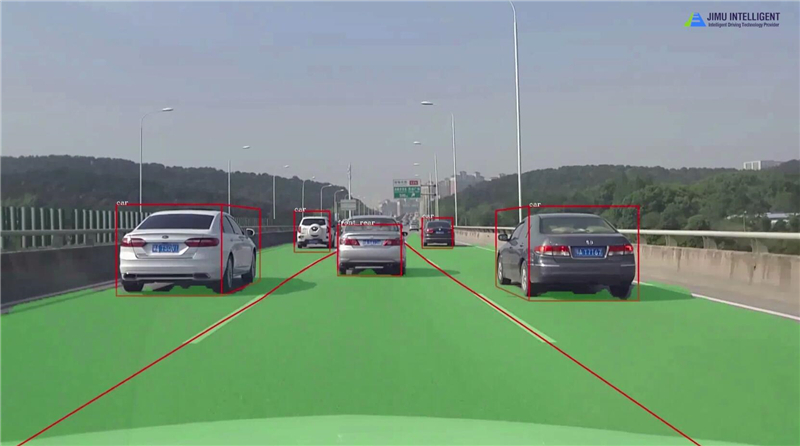 JIMU launched its new automotive grade ADAS solution for passenger vehicles JM600 C1, which sports the latest deep learning to deliver accurate detection of vehicles, lanes, pedestrians, traffic signs, etc. It also could be integrated with radar to enable higher-level driving assistance features like autonomous emergency brake, lane keep assist, etc. When compared with last generation algorithm, the latest deep learning has better performance in its multi-dimensional vehicle body recognition, including tail, sides, detection of partially occluded pedestrians, and detection in dim light conditions. JM600 C1 embeds a cost efficient automotive-grade FPGA platform, and highly efficient convolution operations specifically designed based on FPGA features, to deliver ultra low computation delay. The frame rate could reach 30 frames per second. When compared with other platforms like ASIC, FPGA could be integrated with the latest deep learning to improve detection accuracy, and also has advantages in its system flexibility and cost efficiency. 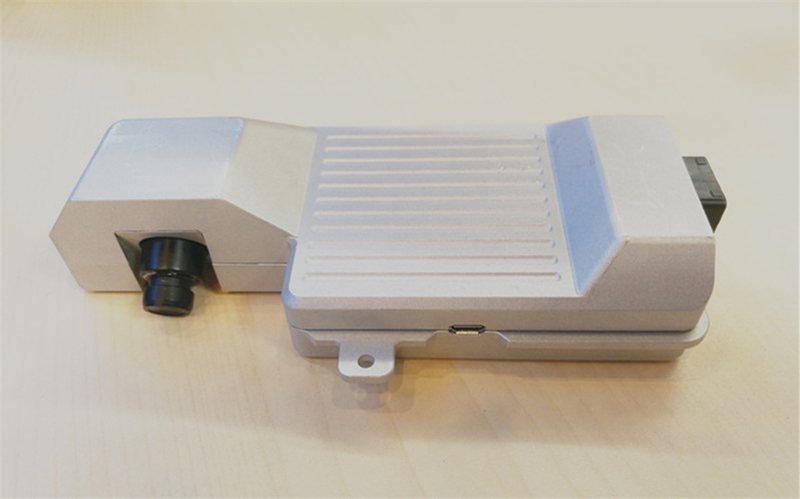 In addition, JIMU demonstrated its automotive-grade driver monitoring system for passenger vehicles. It supports face detection and driver identification to provide personalized driving experience, and also issue warnings after detecting driver drowsiness or distraction. JIMU’s AR navigation solution, based on traditional navigation and computer vision, uses open source map API to realize real-time navigation. 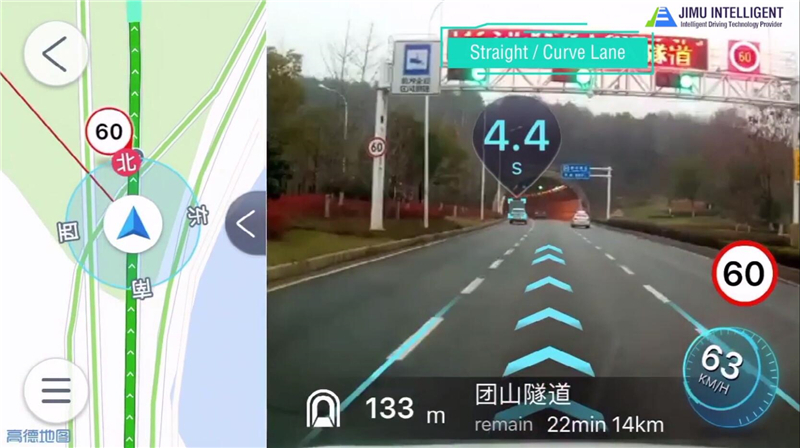 The navigation and warning information could be output to HUD or vehicle navigation system to deliver safer and smarter driving experience. As for aftermarket, JIMU demonstrated its JM600 H2 driving assistance solution, which combines ADAS with driver monitoring to reduce traffic accidents by issuing warnings in advance after detecting potential collision dangers, driver drowsiness or distraction. Warning images and videos could also be transferred to the cloud management platform in real time, providing data basis for more delicate fleet management, driver risk assessment, etc.